We are indebted to Ian and Steph Hall for their dedicated work researching the men of Congham who fell. You can read of their lives and their heroic ends in their booklet "The Way We Were" © . Killed in action 30th December 1917. Age 19. Son of Mrs. S. C. Ffolkes, of Congham Lodge, King's Lynn. Buried in HERMIES HILL BRITISH CEMETERY, Pas de Calais, France. Grave I. F. 43. 2nd Lt. 5th Battalion attached 1st Battalion, King's Royal Rifle Corps. Coomber, H Pte. 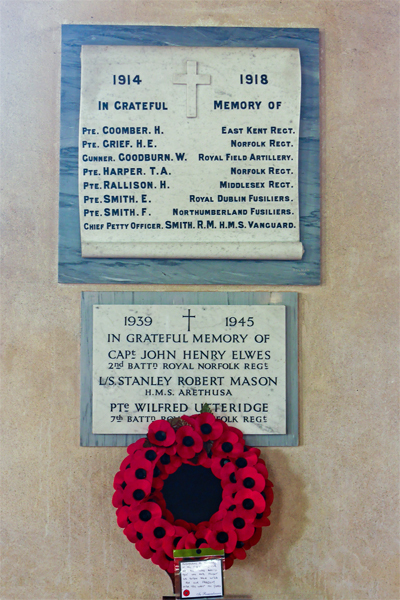 East Kent Regt. 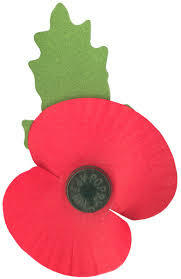 Grief, H E Pte. Norfolk Regt. Harper, T A Pte. Norfolk Regt. Rallison, H Pte. Middlesex Regt. HMS Vanguard sank at Scapa Flow after an explosion. There is more click here. Elwes, John Henry Captain Royal Norfolk Regt. 2nd. Battn. Utteridge, Wilfred Pte. Royal Norfolk Regt. 7th Battn. 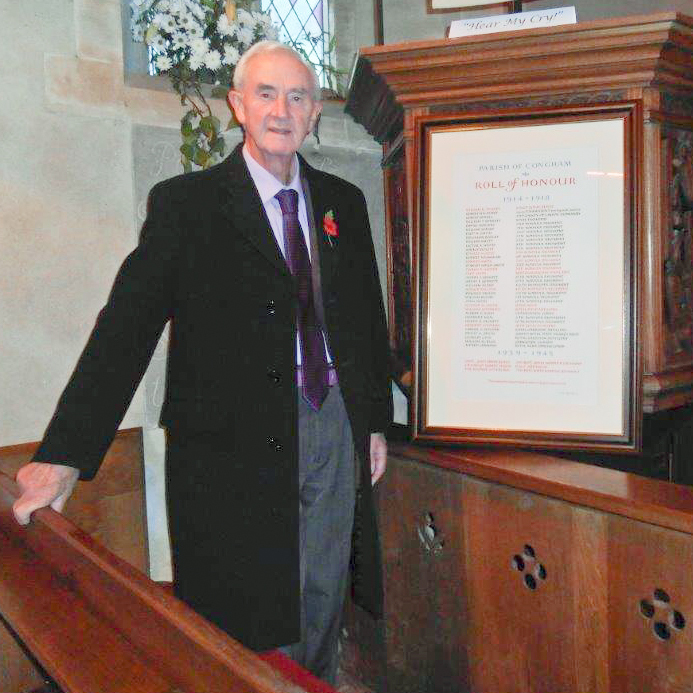 In 2016, a new Roll of Honour was displayed in the Church in commemoration of 100 years after the Battle of the Somme during an exhibition entitled "Hear My Cry". The Roll was hand calligraphed by John Smith shown in the photo. below. 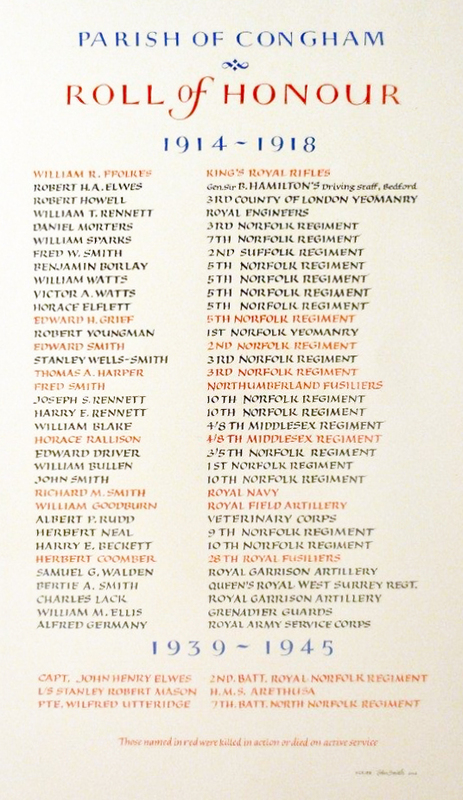 The names in red are the men killed in action or died on active service.